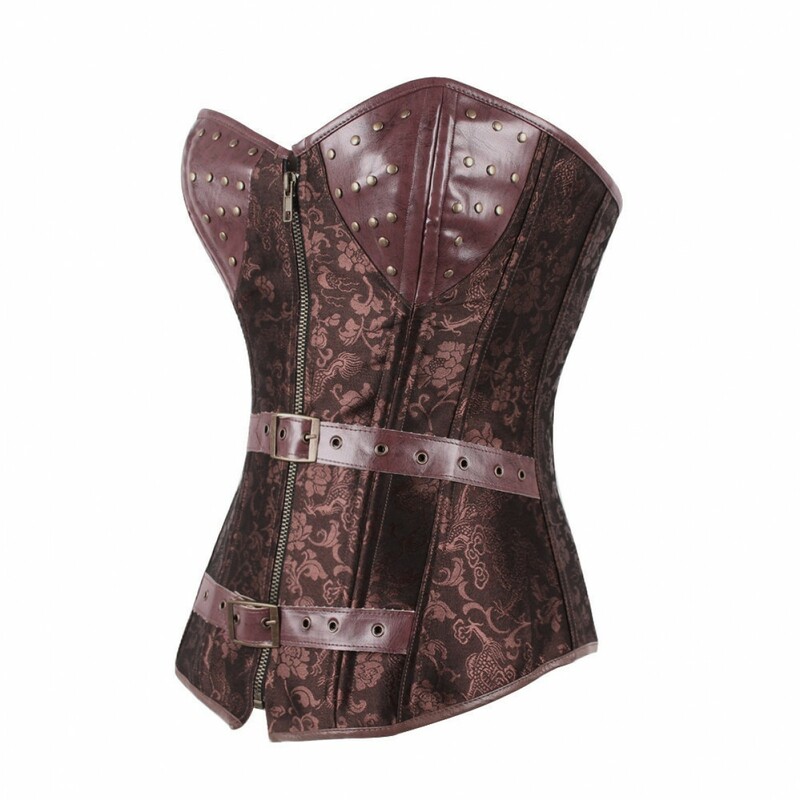 brown faux leather corset. Combination of embroidered cloth and synthetic leather. It is tied with rope behind. Combine it with leggins.